San Francisco police closed off streets in the SoMa after a dismembered body was found in near Mission and 11th streets. 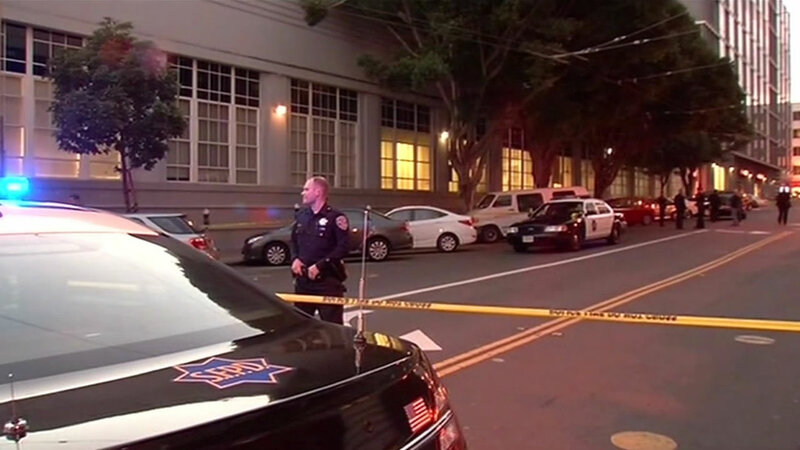 Police discovered the dismembered body in a suitcase in San Francisco's SoMa District January 28. More body parts were recovered nearby at Mission and 11th streets. The San Francisco Medical Examiner identified the body as 58-year-old Vallejo resident Omar Shahwan. It's still unclear exactly where Shahwan was killed. A person of interest in the case, Mark Andrus, 59, died in March, according to police. Andrus died at a hospital in San Francisco, but police declined to say how he died or why he was seeking medical care. Police have also declined to say where Andrus died. A spokeswoman for San Francisco General Hospital said he was not a patient there. Police arrested Andrus on Jan. 31 in connection with the death, in which body parts were found in a suitcase and additional remains were found in a trashcan half a block away from the original scene. Police said some of Shahwan's body parts were missing, but have declined to say which ones. Police identified Andrus as a suspect after releasing photos of a person seen on surveillance footage near the scene and receiving an anonymous tip on Jan. 30 that he could be found in the 400 block of Turk Street. San Francisco prosecutors declined to file charges pending further investigation and released Andrus several days later.